One of the most important decisions before you even begin designing your backyard landscape and pool design is choosing the right company for the job. Landscape and pools are a big investment, one where every component of the project, from the design to the construction should be in good hands in order to justify the time and cost. Consider these four guidelines for choosing the right builder for your needs. Pool and landscape building is not a job for novices. Companies must be legitimate and have hands-on experience building luxury backyards in order to do a good job. Unique Companies has lived and worked in the Phoenix area for over 15 years, we understand all the local niches, the HOA’s, the city requirements for permitting and engineering, etc.. Our clients’ number one reason for choosing Unique is the fact that both pool and landscaping are handled by one company, one landscape and pool designer, and one point of contact. One of the biggest ways to tell an outstanding pool and landscape builder apart from the rest is by looking at how the company treats their customers. Customer service should be a top focus for any builder who will gladly address customer questions and concerns and walk through any step of the building process. Our attention to customer service and emphasis on cooperation and coordination between swimming pool, structures & patio covers, and landscaping (design & construction) sets us apart from our competitors. In addition to great customer service, there should also be a focus on quality control. The company should have educational and training requirements to staff and provide the latest technology in the industry. This provides customers with products that are able to be eco-friendly, energy efficient, consumer-friendly to ultimately save the customer time and money. From infloor cleaning systems to structural integrity of the swimming pool, there is nothing average about our swimming pool and landscape construction methods. Unique focuses on building a better pool and landscape than most companies, because of the attention to detail in every aspect of swimming pool and landscape construction. Lastly, a pool and landscape company should be able to back up their years of experience with recognitions and awards they’ve received within that time. This shows the strength of the company and its dedication, commitment, and level of creativity within the industry. Unique Companies continues to rank among the top landscape companies in the Phoenix area. 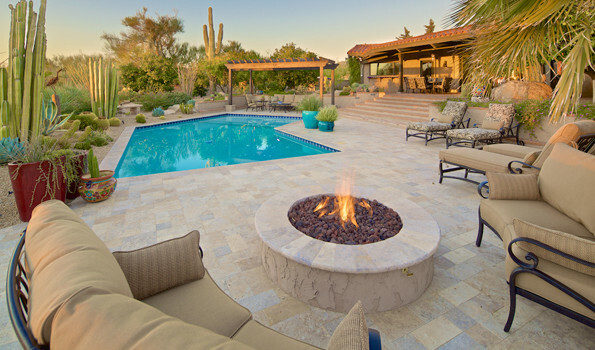 In fact, Unique Landscapes is proud to have been ranked #1 Landscape Company in 2010 and 2014 in Phoenix (as voted on by Ranking AZ – Arizona Business Magazine). To complement our #1 landscape ranking, Unique Custom Pools was also voted #3 Custom Pool and Spa Company and BEST of Houzz in 2015! Unique Companies is the only landscape and pool builder in the industry that ranks in both the Swimming Pool & categories for landscape and pool builders. Our clients enjoy the BEST of the BEST from ONE “UNIQUE” COMPANY!